Time for another psychological horror video game review! Layers of Fear is a 1st Person psychological horror PSN game, developed by Blooper Team and released on February 16, 2016, for PC, PlayStation 4, and Xbox One. This game was inspired by Silent Hill’s PT. In the beginning, you control an unnamed psychologically disturbed painter trying to complete his masterpiece as you travel through his mansion, discovering secrets about his past. This painter will have hallucinations about his past and as you go through a new area, you will retrieve items that will tell you more about his past and you can use those items to help with his masterpiece. As you walk through the mansion, it starts to warp and get more disfigured with lots of hallucinations and jump scares. There are a lot of puzzles to solve and many different rooms to explore and some doors require keys that you have to search for. There are 6 chapters and in the end of each chapter, the painter continues a bit of his masterpiece. From what I know, gameplay wise, you basically wander around the house and you don’t die in this game. You get attacked but you don’t lose health or anything, you kinda pass out and then wake up in a new area. There are 3 different endings in this game, which is a Neutral, Good, and Bad ending. I only got the Neutral ending and I got all the items so that’s probably why. Also, I didn’t want to give the story because it’s extremely f**ked up and you figure out the story as you play anyways. This story is amazing, terrifying, and will leave you speechless. This is one of my favorite stories. I loved this game, especially since it’s like Silent Hill’s PT and it feels good to play something like that again. Also, there are a lot of jump scares and if you’re a pansy like me, you’ll want someone to play for you. The game is dark as well so you’ll want to increase your brightness if you want to find all the items or you can play it in the dark and experience the full horror. 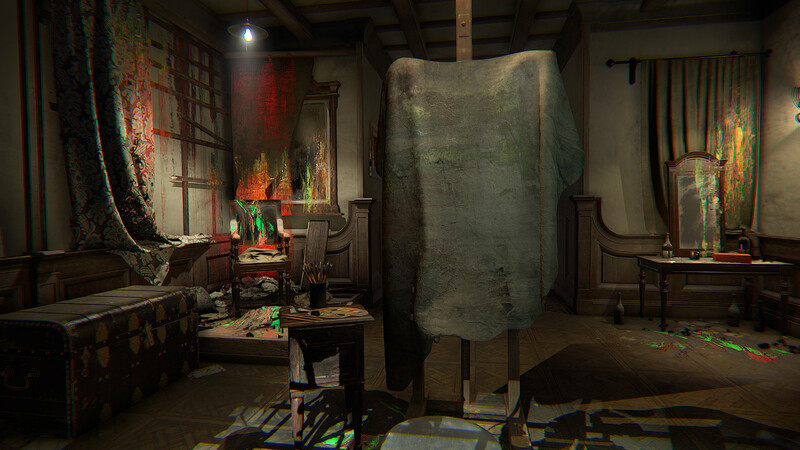 What do you guys think of Layers of Fear? Have you played it? ← Listen to Metallica Sing the Pokemon Original Theme Song!